Hello, all! 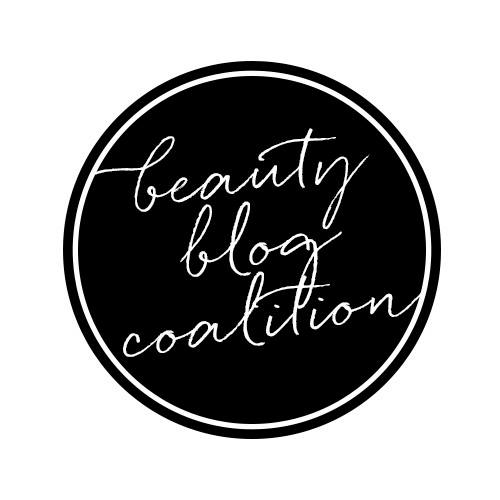 I have a very special post to share with you all, one I've been excited about for awhile! 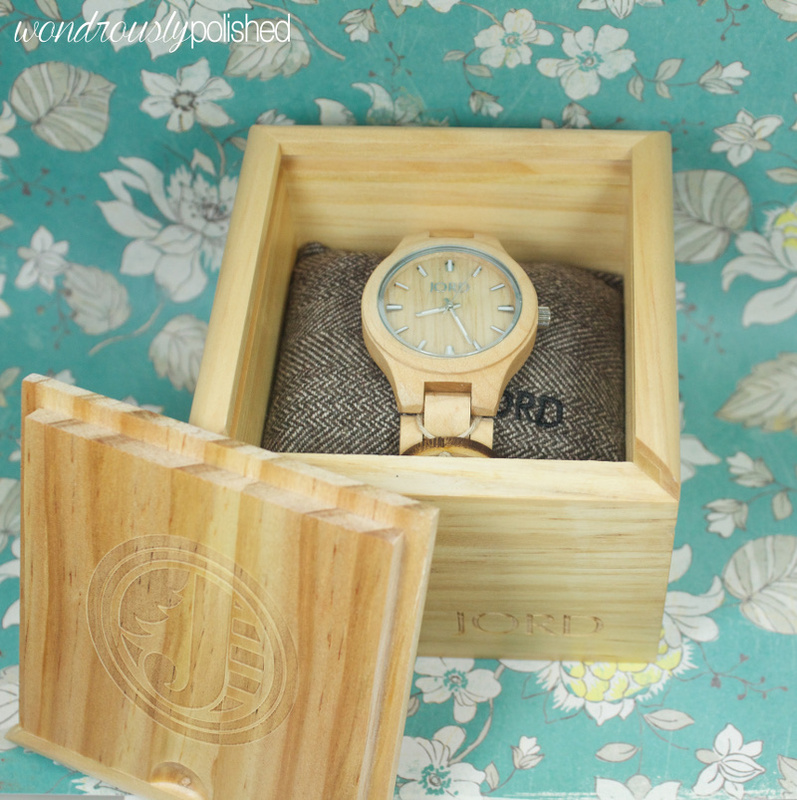 The kind folks over at JORD Wood Watches sent me one of their stunning Fieldcrest Series watches to share with you all! For those who don't know about JORD, they produce high quality watches, made from sustainably sourced wood with the aim of creating timepieces modeled those who value sustainable, simple, efficient and modern design. While the medium of their watches may be unique, they have a simplistic and classic look to them that is immensely pleasing to me. To read more about the brand check out their about page or read up on a few of the FAQs. I really enjoy watches but tend to stick to the same one and wear it for a long time before splurging for my next one. Like any nice piece of jewelry, it's important to me to find the right style of watch that will work best with most of my outfits. 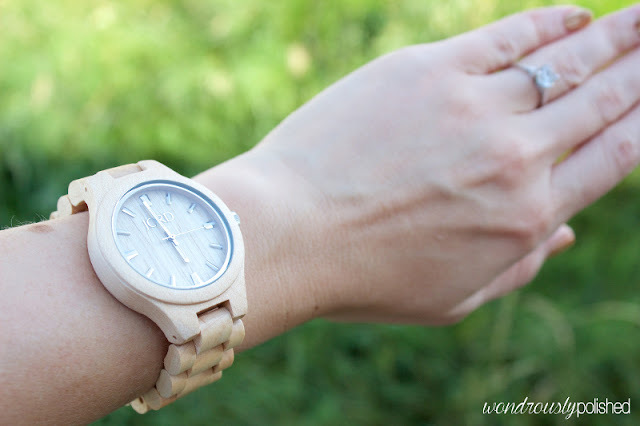 While it's always fun to have a watch that works for just that one awesome outfit, I tend to make my purchases based on how wearable the item will be for me. The Fieldcrest watch is just that. While it is definitely a standout watch (I've been wearing it to work for the past few weeks and have received many compliments on it), it isn't so flashy that I feel uncomfortable wearing it. 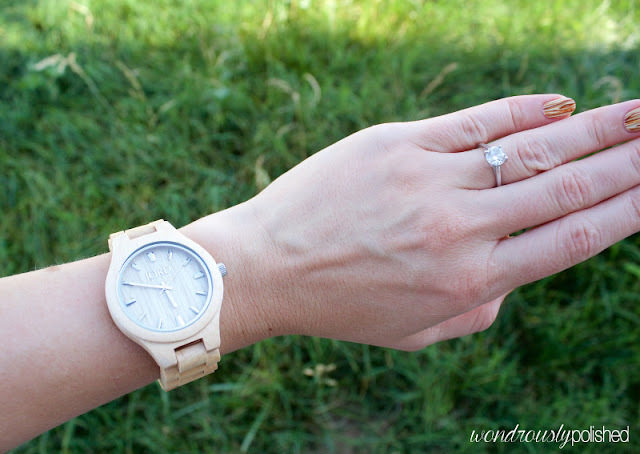 The simplicity of the watch's face paired with the monochromatic maple wood is beyond stunning and works well with not only my work outfits, but my day to day pieces as well. Ideal for someone like me. The Fieldcrest Series is produced in a classic midsize. 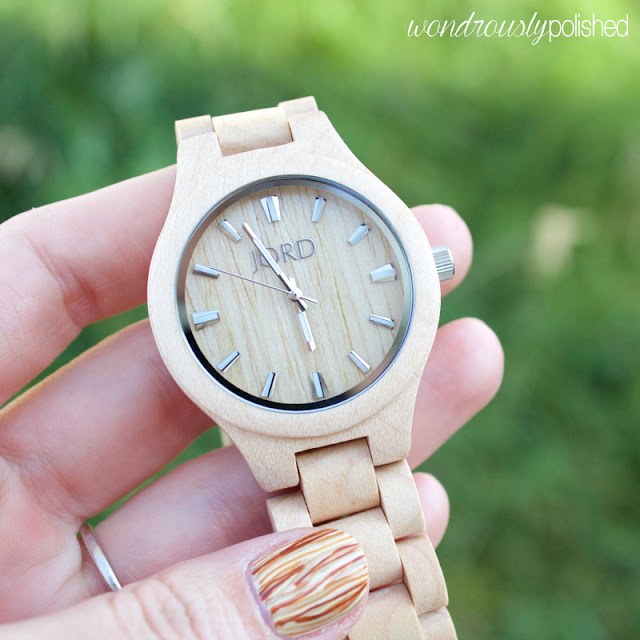 The monochromatic wood face, bezel, and strap serve to showcase the intricacy of the wood grain. Designed to be androgynous, the attitude of the wearer is the final elemental design to this timepiece. Each JORD watch is designed to be splash proof but is not intended for complete submergence in water. 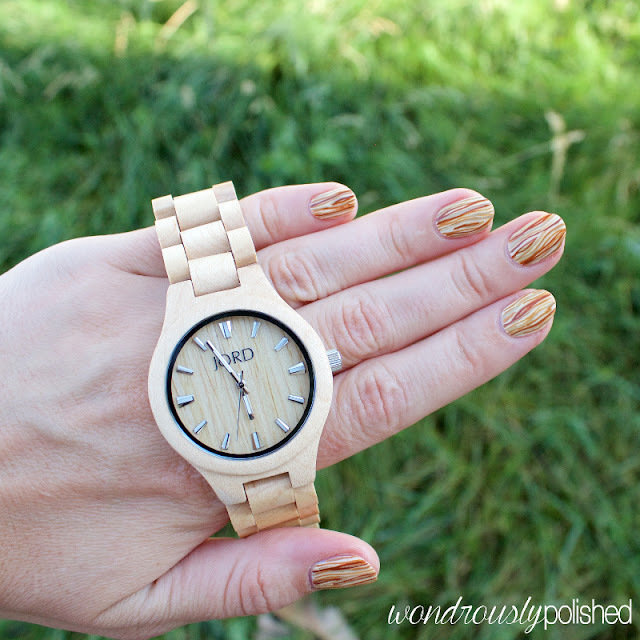 Also note that due to the nature of the wood chosen for each unique timepiece, colors and grain pattern may vary from photos. 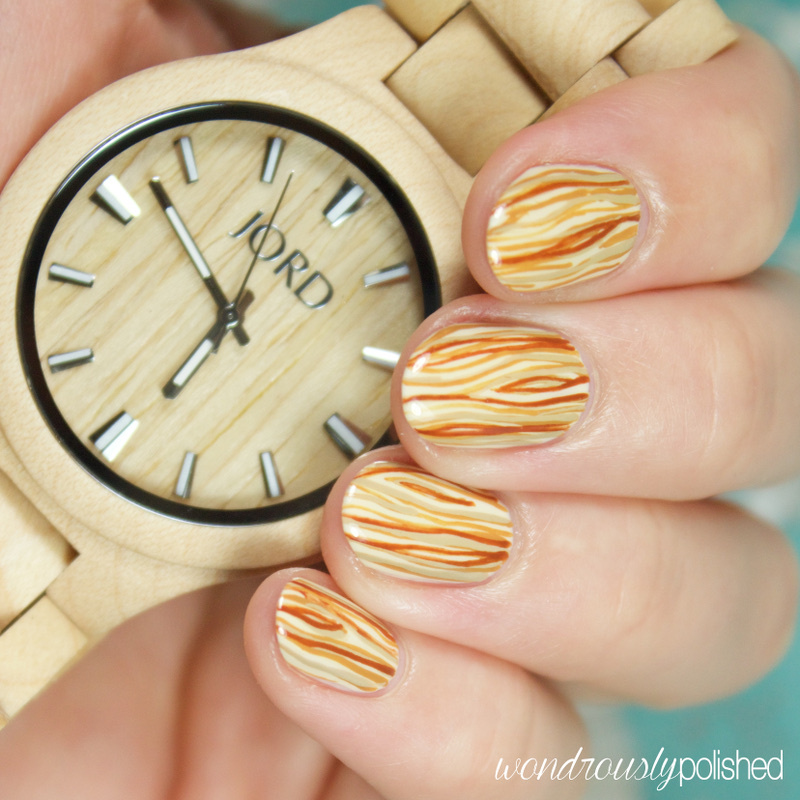 I also created some nail art to pair with this watch - some simple monochromatic wood grain in the same color scheme as the watch. All in all, I am absolutely impressed by this watch. 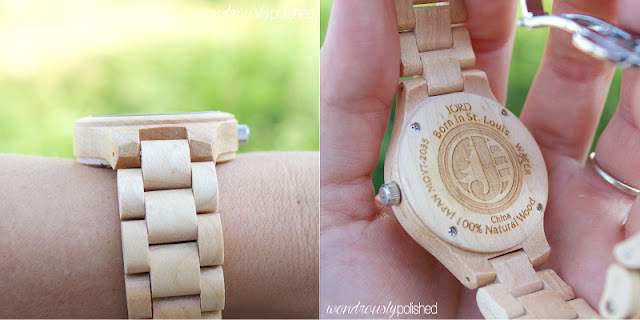 It is so beautifully crafted and I love that it is created from sustainable wood. The large, yet lightweight design is striking yet not overpowering and is a great addition to any wardrobe. So far I haven't had any issues with it (though it did take some time to get used to wearing a larger watch). 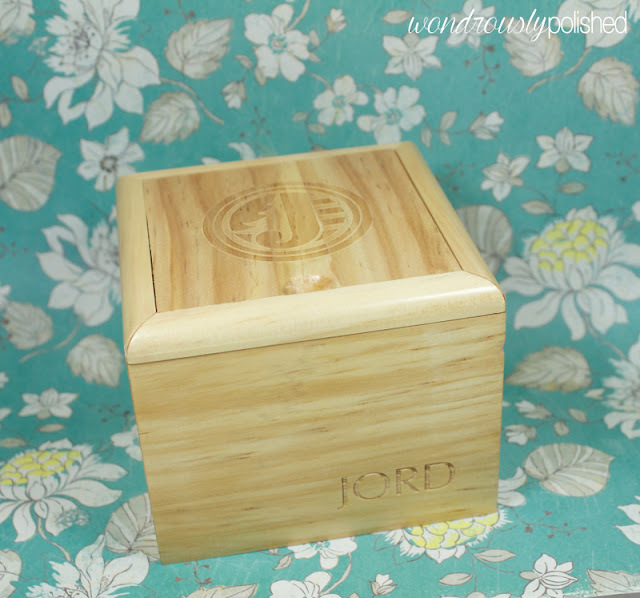 You can purchase the Fieldcrest Series in various colors, along with the rest of the JORD line, directly from the JORD website. Be sure to follow JORD on your favorite social media site to stay up to date with their latest releases and promotions. So, what do you think? 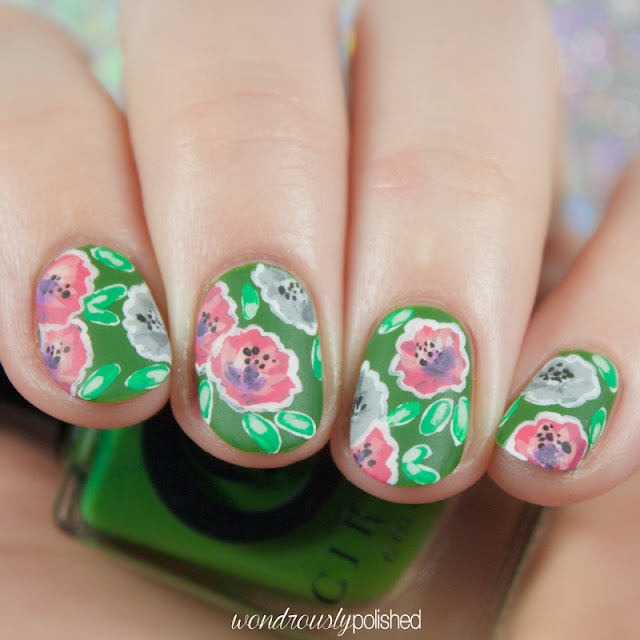 Have you heard of this brand before? 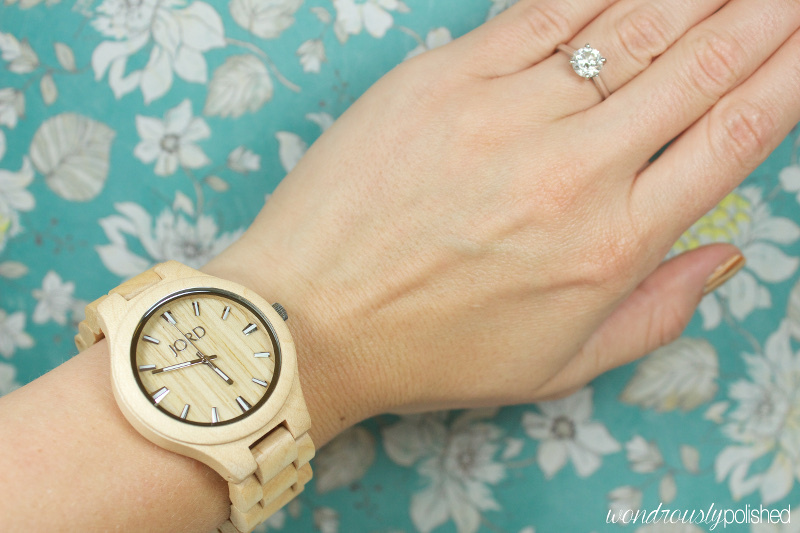 Do you like the look and style of a wood watch? Let me know your thoughts and if you'd ever wear a watch like this!